SEPANG, 3 October 2016 – The ever-popular 2016 Formula 1 PETRONAS Malaysia Grand Prix concluded on a high yesterday, as fans at the circuit and around the world got to witness an adrenaline-pumping race with the Mercedes AMG PETRONAS and Red Bull Racing teams battling it out at the circuit in Sepang. Fans also enjoyed a range of activities for all ages organised by Sepang International Circuit (SIC) in line with their Experience Redef1ned theme and took the opportunity to shop for attractive merchandise. 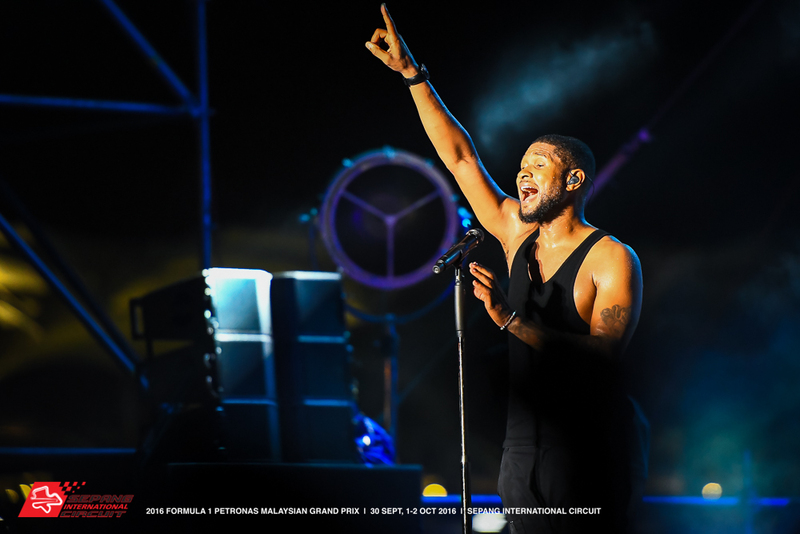 The weekend concluded with fans enjoying the After-Race Concert headlined by Usher. 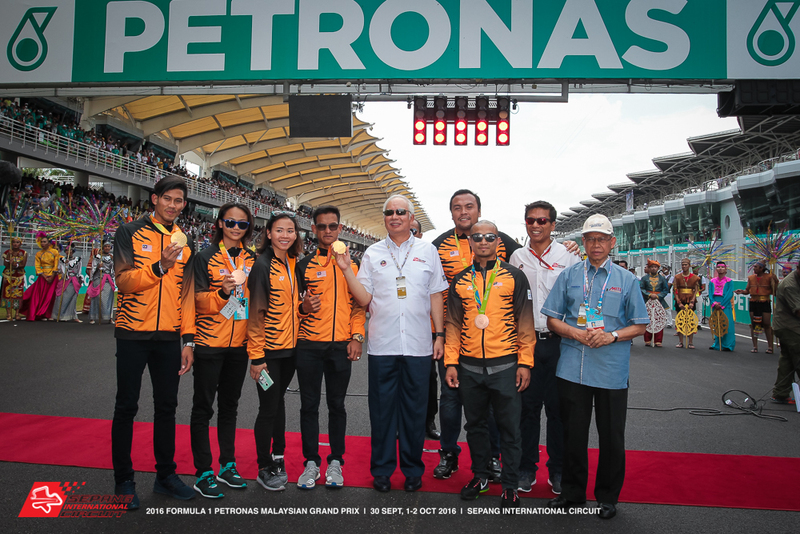 Prime Minister Dato’ Sri Najib Tun Razak was among the tens of thousands of fans at the circuit on Sunday. “First of all, congratulations to Daniel Ricciardo and the Red Bull Racing team for their win in the 2016 Formula 1 PETRONAS Malaysia Grand Prix. Fans in Sepang got to see an amazing race this year, and the drivers really made the best of the resurfaced and upgraded track. It was great to also see the fans having so much fun at the After-Race Concert. On behalf of SIC, I would like to thank our sponsors and partners, as well as the vendors and fans for their continuous support and enthusiasm for the F1,” said Dato’ Razlan Razali, Chief Executive Officer of SIC. 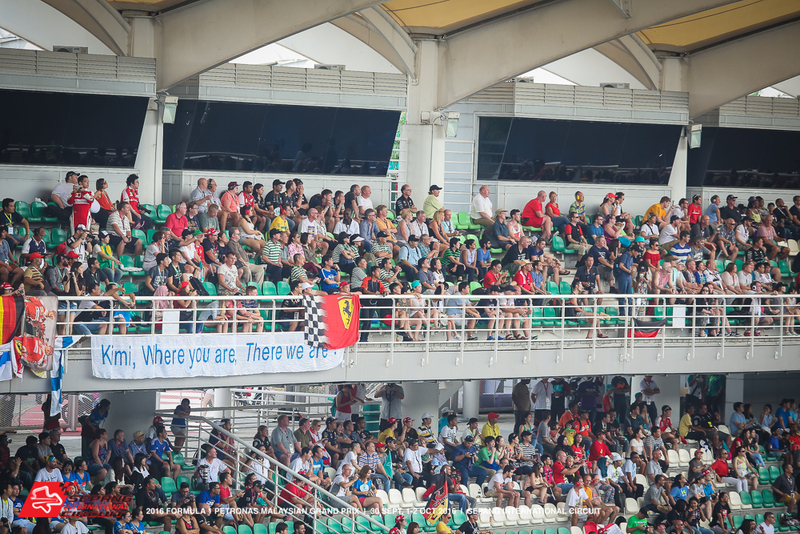 The spectators also cheered on our Malaysian racers Nabil Jeffri in GP2 and Akash Neil Nandy in GP3, as they tried to use home circuit advantage to achieve a good result. Meanwhile, off the track, fan favourites included the F1 Village & Fan Zone, Public Pit Lane Walk, Drivers’ Autograph Session, Drivers’ Fan Forum and XTrack Experience. SIC also used the event as a platform for a good cause, by offering The Ten Ringgit Club space to create awareness on their cause and also display Penan weave-ware at the race weekend. The non-profit organisation, formed to improve the education opportunities of marginalised children in northern Sarawak, also helps generate income for the Penan villagers by offering their weave-ware for sale. Visitors had the opportunity to purchase colourful woven items such as purses, baskets and handbags, ranging from RM20 to RM150. The public were also able to contribute to The Ten Ringgit Club by pledging any amount over RM10 to help fund the education of the marginalised children. The Ten Ringgit Club will also be setting up their booth at the upcoming Shell Malaysia Motorcycle Grand Prix 2016.